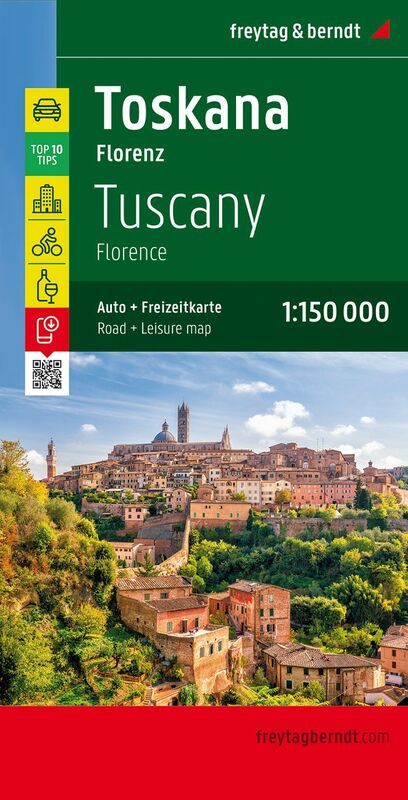 Tuscany at a detailed scale of 1:150,000 on a large double-sided map in Freytag & Berndt’s very popular “Top 10 Tips” series. 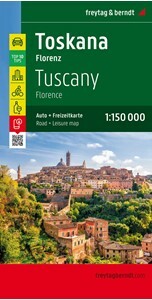 A booklet attached to the map cover provides descriptions of the region’s 10 best sights, includes a street plan of central Florence, a regional wine guide, plus the map index. Many place names are in large print to make navigating easier. Maps in this series have topography well presented by subtle hill-shading with spot heights, plus colouring for woodlands; national and regional parks are highlighted. Road network emphasizes motorways and regional roads, but also includes small local roads and selected country tracks, most annotated with driving distances. Scenic routes are highlighted and the maps show roads closed to motor vehicles and/or not recommended for caravans, winter closures, toll routes, etc. Names of larger local towns are in bold print, making navigating in unfamiliar terrain much easier. 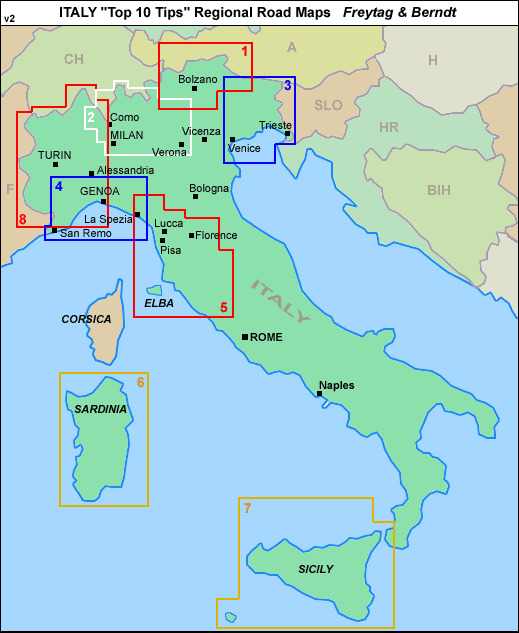 Railway lines and ferry routes are included and local airports are marked. 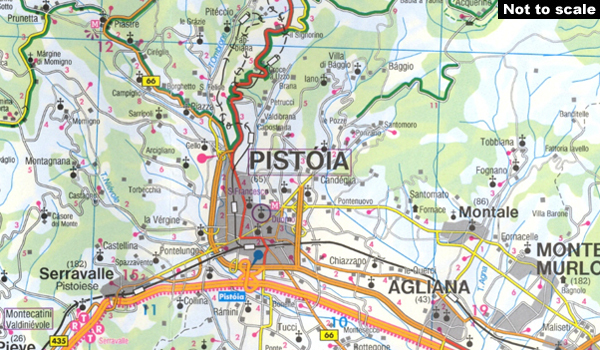 Picturesque locations are highlighted and in each title 10 best places of interest are prominently marked and briefly described in a booklet attached to the map cover. Symbols indicate various landmarks and facilities, e.g. 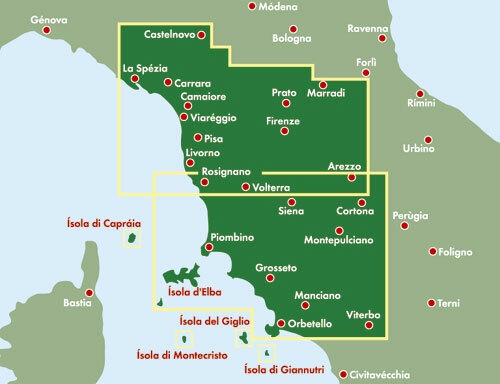 archaeological sites, churches and castles, campsites, hostels, etc. Latitude and longitude lines are drawn at 10' intervals. The index, listing all the localities with their postcodes, is in the booklet attached to the map cover. The booklet also provides street plan (s) of the region’s main town(s). Map legend and the descriptions include English.